Participants in a London South Bank University (LSBU) poll on sugar taxes have voted overwhelmingly in support of the view that we are addicted to sugar. 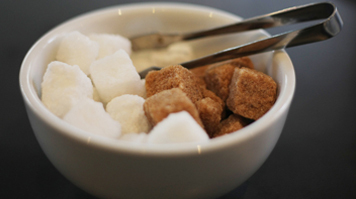 Following the recent LSBU debate: ‘Are we addicted to sugar? Waistlines, wallets and sugar taxes’, 85% of attendees answered the titular question with a resounding yes, with 11% uncertain and 4% voting no. The first in a series of four debates on addiction organised by LSBU’s Health and Wellbeing Institute and School of Applied Sciences, saw a panel of industry experts exchanging opinions on whether sugar is addictive and the role of the sugar tax in improving public health. Topical issues covered included junk food marketing to children, food labelling, consumer habits and Government policy. The lively debate featured questions and comments from the audience who pointed to the rising cost of healthy food versus cheap supermarket deals that only apply to products high in sugar and salt; and the psychological effects of sugar consumption. Arguing in favour of a sugar tax as a measure to mitigate the UK’s current obesity epidemic were: Malcolm Clark, co-ordinator of the Children’s Food Campaign for Sustain, and Dr Mick Armstrong, a practising dentist from the British Dental Association. They showcased evidence from Mexico where the introduction of a sugar tax saw a 6% drop in sales of sugary soft drinks in its first year, and likened the necessary tax to the success of that seen with tobacco regulation. They also pointed to the lack of consistent messaging from Government in tackling the issue and highlighted the significant role industry and manufacturers play in advertising products to children, Dr Armstrong adding: “Tony the Tiger promotes Frosties and he doesn't have any decaying teeth!" Disputing the evidence that the sugar tax has been successful in countries like Mexico and California were Dominic Watkins, Head of DWF’s internationally renowned food sector group and Emily Barley, Content and Communications Strategy consultant for People against Sugar Tax. They both argued for a more holistic approach to combatting obesity and healthy diets, strongly advocating for better and more consistent consumer education and clearer food labelling to increase awareness around the issue. They were unconvinced that a sugar tax was the appropriate and only solution as it would not apply to some of the most sugary drinks on the market, like pure fruit juices. Ahead of the debate, LSBU’s social media audiences were asked to submit their yes or no vote to the question ‘Are we addicted to sugar?’ in a Twitter poll. 190 people voted strongly in agreement with 67% voting yes and 33% voting no. Before the debate began, the audience in attendance were also asked to vote on the same question. Overwhelmingly the result mirrored that of the earlier social media poll and the post-debate vote, with 83% voting yes, 9% uncertain and 8% voting no. The debate was live streamed to LSBU's Facebook page where it was watched by over 600 people. Live tweeting covered the key arguments of the debate with the hashtag #SugarDebate for those who wished to follow the conversation online. The next debate in the addiction series will be on e-cigarettes in November. Find out more about the addiction debate series.